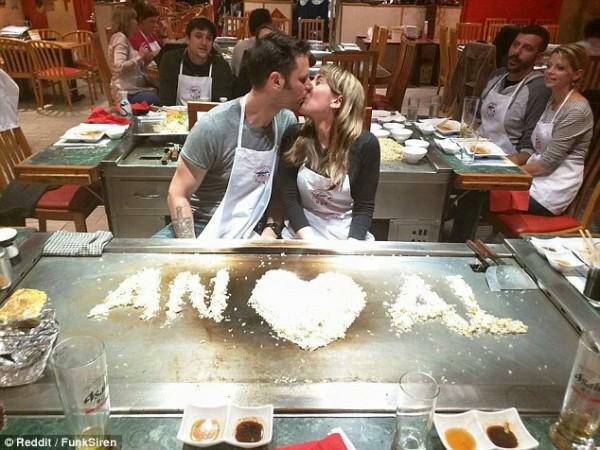 @BillyCorben: They just got engaged at a hibachi restaurant -- and the chef wrote their initials in rice! @KentWGraham: I think college costs are so high because at that point parents are willing to pay anything to get their kids out of the house. @JesKeepSwimming: The ones you keep closest to your heart hurt you the most. Like the underwire in my bra that tried to stab me. @AmericanGent69: If my name was Simon I would always talk in the third person when telling someone to do something. @badbanana: If the shoe fits, wear it. And if these shoes belong to someone else, walk away briskly. @SCbchbum: "Don't kill it!" my friend pleaded for a spider's life inside. So I carefully trapped it in a cup, brought it outside, then stomped on it.